« Older: Gwen Lizarraga Girls & Sadie Vernon boys are basketball champs! Newer: » RC School Burglarized – AGAIN! Long in the making, this field guide was finalized through the funding from Community Management of Protected Areas Conservation Programme (COMPACT). It was an effort by many that made the fruition of the guide a reality. 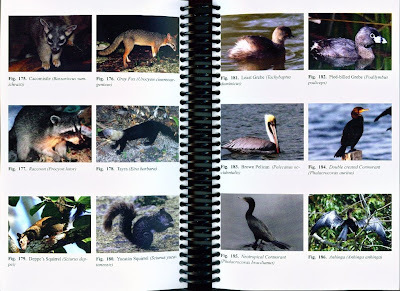 However, at the forefront of it was Director of Green Reef Mito Paz, had for years the dreams of printing a guide such as this one. With many great things being shaken up at Bacalar Chico, the manual came at an apropos time. 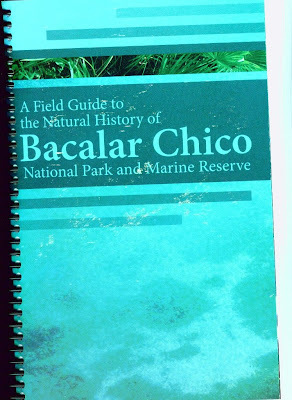 With many more visitors to the area, students, professors and tourists, A Field Guide to the Natural History of Bacalar Chico National Park and Marine Reserve will certainly prove to be highly informative. This important guide will be officially launched on Sunday, December 21st, 2008 at Rico’s Bar and Grill at 3:00 p.m. All are cordially invited and books will be available for purchase then. Read more on this story in our Christmas edition of The San pedro Sun!